Today I got a theory/prediction for Star Wars episode IX because everyone else does. I’m posting it here because I don’t have a reddit account and 4chan scares me so here we are. This theory deals with the reveal of Finn’s father and it’s not Lando. Clearly the sequel trilogy is having Finn follow Darby’s characterization from Space Janitors. 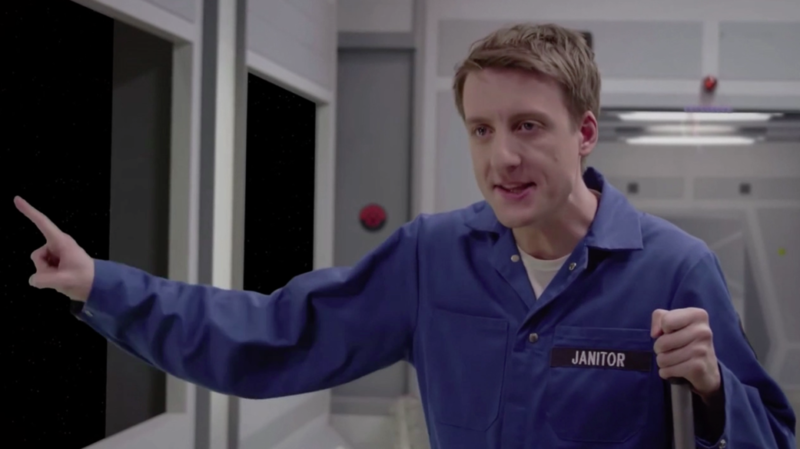 For those of you who don’t know what Space Janitors is, I feel so bad for you. Go watch it. Space Janitors was a web show that had three seasons, they are all on youtube. It was about Janitors for the empire who work on a death star like space station. Darby, the main character, wants nothing more than to be a type of person who the rebels would want to fire at, IE he is so low in the ranks the rebel ignore him. Warning spoilers, at the end of the first season Darby learns the truth of his linage, in that he is the son of a high ranking rebel leader and his DNA code was change to protect him making him look human. In the third season Darby and his friends defect to to the rebels. An imperial janitor who defects to the rebels???? The sequel trilogy clearly copied this, just like the copied stuff from Space Balls in Last Jedi. It will be revealed in Episode IX, that Finn is actually like Darby, an ectomorph, or an Alien whose DNA has been changed to make them look human. In Episode IX this was done by the First Order to adhere to conformity. This is why there are no Aliens in the First Order except for Snoke because he needed to feel special. 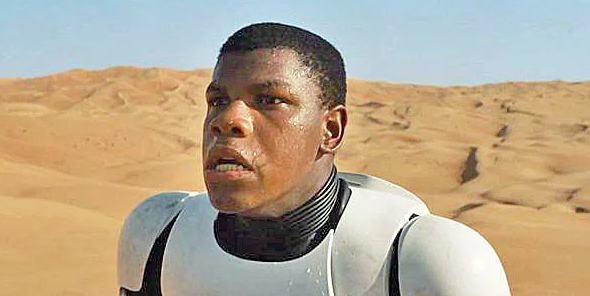 Finn’s father was a head of Resistance and thus he wasn’t lying when he said he was a big deal in the resistance. It’s too perfect not to happen. Who is Finn’s father? Watch Space Janitors, I don’t want to spoiler everything. Darby’s father is analogous to an awesome character in Star Wars and that is who Finn’s father truly is. ***No I don’t this will happen, this is a joke. Please do not take this seriously. Although Space Janitors is quite good.